The Great Terror, a retrospective term which historians have borrowed from the French Revolution, refers to the state-organized bloodshed that overwhelmed the Communist Party and Soviet society during the years 1936 to 1938. Also known as the Great Purges or Yezhovshchina, after the People's Commissar of Internal Affairs, Nikolai Yezhov, who oversaw the process before himself becoming one of its casualties. In the original version of this photo (top), Yezhov is clearly visible on the right of the photograph, standing next to Stalin. Source: Wikipedia. The later version (bottom) of this photo was altered by censors, removing all trace of Yezhov's presence. Source: Wikipedia. The Great Terror was punctuated by three elaborately staged show trials of former high-ranking Communists. In July-August 1936 Lev Kamenev, Grigorii Zinoviev, and fourteen others were convicted of having organized a Trotskyite-Zinovievite terrorist center that allegedly had been formed in 1932 and was held responsible for the assassination of Sergei Kirov in December 1934. Still dissatisfied with the efforts of the police to investigate and liquidate such nefarious plots, Stalin replaced Genrikh Yagoda with Yezhov as head of the NKVD in September 1936. A second show trial followed in January 1937 with Yuri Pyatakov and other leading figures in the industrialization drive as the chief defendants. At a plenary session of the party's Central Committee in February-March 1937, Nikolai Bukharin and Alexsei Rykov, the most prominent party members associated with the so-called Rightist deviation of the late 1920s and early 1930s, were accused of having collaborated with the Trotskyite-Zinovievite terrorists as well as with foreign intelligence agencies. They along with Yagoda and others eventually were tried, convicted, and sentenced to death in March 1938. Between the second and third show trials, the upper echelons of the Red Army were decimated by arrests and summary executions, and the same fate befell provincial party secretaries, party and state personnel among the national minorities, industrial managers, and other officials. It is estimated that between 50 to 75 percent of members of the Supreme Soviet and officers of the Soviet military were stripped of their positions and imprisoned, exiled to the Siberian Gulag or executed. The process fed upon itself, as the accused under severe physical and psychological pressure from their interrogators, named names and confessed to outlandish crimes. Millions of others became involved in the frenzied search for "enemies of the people." In addition, on July 3, 1937, the Politburo ordered Yezhov to conduct "mass operations" to round up recidivist criminals, ex-kulaks, and other "anti-Soviet elements" who were prosecuted by three-person tribunals. 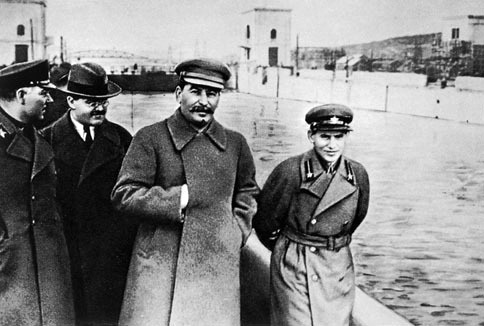 Yezhov actually established quotas in each district for the number of arrests. His projected totals of 177,500 exiled and 72,950 executed were eventually exceeded. In a two-year period, more than 1.4 million people had been arrested and unknown numbers were exiled and executed. Soviet arrests during the Great Terror disproportionately targeted ethnic nationalities in contrast to Russians and Ukrainians. From 1936 to 1938, 75,331 ethnic Germans were arrested. The percentage of arrested that were ethnically German was 662.5% more than their proportion of the Soviet population as a whole. The story of Conrad Schreiber from Norka, who was arrested in December 1937, illustrates the terror of these times. On August 22, 1938, Georgian NKVD leader Lavrentiy Beria was named as Yezhov's deputy. Beria had managed to survive the Great Purge and the Yezhovshchina during the years 1936–1938, even though he had almost become one of its victims. Earlier in 1938, Yezhov had even ordered the arrest of Beria, who was party chief in Georgia. However, Georgian NKVD chief, Sergei Goglidze, warned Beria, who immediately flew to Moscow to see Stalin personally. 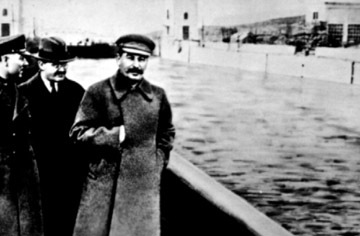 Beria convinced Stalin to spare his life and reminded Stalin how efficiently he had carried out party orders in Georgia and Transcaucasia. In an ironic twist of fate, it would be Yezhov who would eventually fall in the struggle for power, and Beria who would become the new NKVD chief. Beria would later play a key role in the deportation of all ethnic Germans to Siberia, Kazakhstan and other parts of Central Asia in 1941. Krieger, Viktor. Bundesbuerger russlanddeutscher Herkunft: Historische Schluesselerfahrungen und kollektives Gedaechtnis. Lit Verlag; Muenster, 2013), table no. 1, p. 151. Siegelbaum, Lewis. "1936: The Great Terror." The Great Terror. Web. 25 Dec. 2014.